Bluebottle are now offering an all inclusive upgrade service from the basic maintenance of your current equipment to complete system design, installation and training for lighting equipment tailored to suit your needs. We are committed to ensuring todays arts practitioners, trainers and event coordinators have access to the most up to date LED technology. It is simple to use and best of all an energy efficient alternative to now out of date, costly and high maintenance incandescent lighting equipment. Contact Bluebottle for a free 1hr technical assessment of your existing equipment. Surcharges apply to locations outside the metro area. 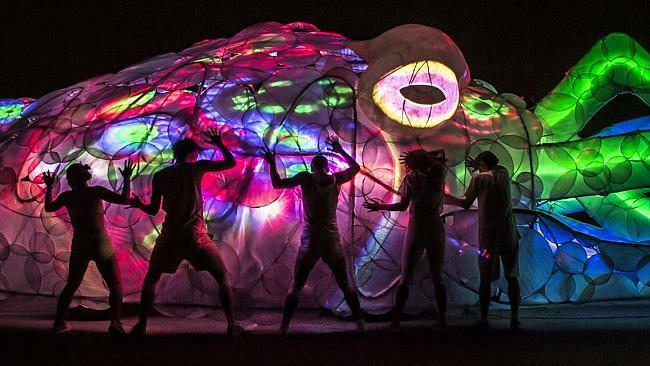 Bluebottle also offer consultation, maintenance and equipment supply for all your theatrical needs such as sound equipment, audio visual equipment (projection), curtains, gaffer tape and spare bulbs. Bluebottle are offering the latest LED lighting technology from leading manufacturers. Wide beam angle suitable for low height ceilings. 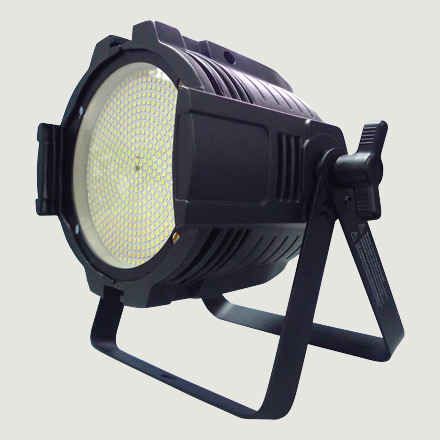 The LED technology can replicate tungsten lighting colour temperatures. LED Wash unit - wide, variable angle and suitable for low ceilings. 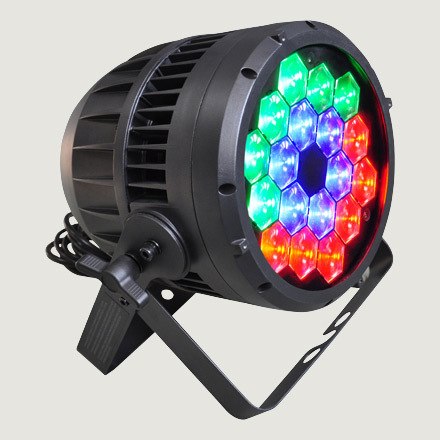 Comprises 9 high powered 15w RGBW LEDs. LED Cyclorama wash unit. Great coverage and every colour of the rainbow for your backdrop from one unit. 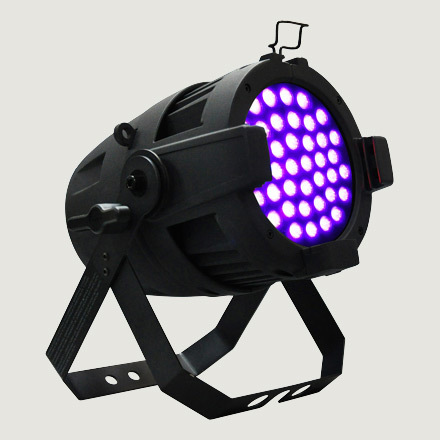 The SL eSTROBE 130 luminaire utilizes 576 cool white LEDs to deliver an exceptional output of 28000 lumens. 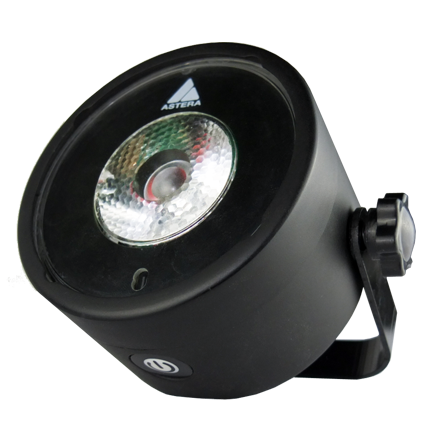 Constructed from robust diecast aluminium and consuming only 150W, the SL eSTROBE 130 is an ideal replacement for high current Xenon strobe luminaires. The SL PARBLAZER 100 UV is a high performance UV Par luminaire that delivers a powerful output, generating 395mm UV light from 40 LED emittters, and producing the distinctive visible glow that brings reactive materials and objects leaping to life. The SL PARBLAZER 100 UV is an excellent quality UV wash luminaire, ideal for indoor, outdoor and wet environments and a safe alternative to HID and UVFlourescent luminaires. The soft edged beam delivers a light that can be easily blended between multiple units, while providing a defined beam for applications requiring more control. The SL PUNCHLITE 220 is a high performance luminaire rated for outdoor use. Ideal for large outdoor stages and permanent outdoor applications. Pacific 7.5°-19° Followspot. 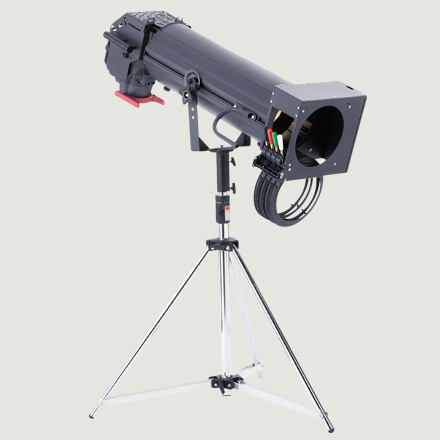 Easy to use, affordable Followspot suitable for the drama workshop through to mid-size theatres. Includes tripod, colour changer, iris and dimmer. Exciting new product perfect for events. The Astera AX7 has Ultra-bright LEDs, battery-powered(up to 20hrs), remote controlled and IP65 waterproof for outdoor use. A simple to use lighting board perfect for operating LED units. A portable 15amp dimmer to control non LED lighting. Allows simple patching and control of tungsten lights. Just hang this dimmer next to your light and connect it to your DMX control chain.